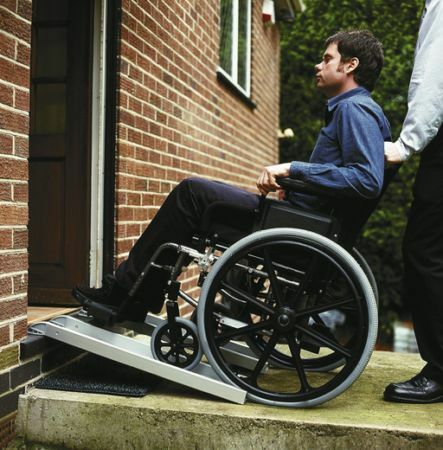 These mobility ramps are manufactured from anodised aluminium and are designed to be lightweight and highly portable. The top of the ramp features two moulded plastic inserts which will locate on the top of a step or rear of a vehicle. The inserts are supplied unfitted in case they are not required. The surface of the ramp is coated in a grey epoxy gritted safety tread.